* Mounting on DIN track. * Connection : double tab terminal for pre-isolated 4,8 X 0,8 mm clips. 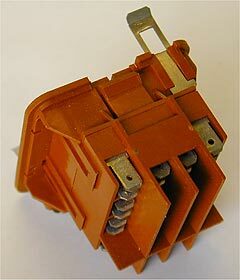 SRDL 4.8 is a rear wiring socket with clips for relays of CS series.